Native Ground Books & Music is a family-owned American company. It all started with with a simple idea – to teach and preserve Southern Appalachian music. It was 1973 and Wayne Erbsen had just moved from his home in California to Charlotte, North Carolina. His aim was to dig deep into the roots of Southern Appalachian music by learning from the masters. Charlotte was chosen because this area had once been a hotbed of traditional Southern music. To his shock, Wayne discovered that little of the old music was left. Instead, North Carolina seemed intent on covering up its own Appalachian roots with concrete and embracing the new music of New York as well as Los Angeles and Hollywood, two places that Wayne had just escaped from! Realizing that the true Southern Appalachian music was on the verge of becoming extinct, Wayne was determined to ensure that this music was preserved and passed on to future generations. First, he met and learned from many of the masters of Southern Appalachian music including Charlie Monroe, Tommy Jarrell, Kyle Creed, Albert Hash, Jim Shumate, Wiley and Zeke Morris and Jimmy Buchanan. Wayne then began presenting programs of North Carolina traditional music to students of all grade levels. At that very time in the 1973, the movie “Deliverance” came out. 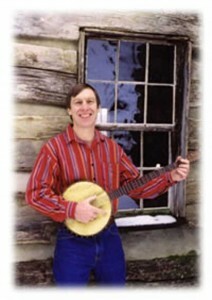 Although it promoted a stereotype of the Southern mountaineer, it also fired people up about the banjo. Wayne’s banjo classes at Central Piedmont Community College were suddenly filled and overflowing with people wanting to find their own roots and learn to play the banjo. To better serve his many banjo students, Wayne typed up his lessons on an old-timey manual typewriter and offhandedly titled his book, A Manual on How to Play the 5-String Banjo For the Compete Ignoramus! Because he knew all his students personally, Wayne wrote the book in an extremely relaxed, informal style that would later become his trademark. One of his students, Julie Gillespie, owned a fancy IBM electric typewriter, so that “high-tech” piece of equipment was used to type up the manuscript for the printer. Another of Wayne’s students, Everett Carpenter, used his skills as a graphic artist to produce the cover. Other friends and students contributed drawings for the book. Wayne assembled the book and bravely marched down to the nearest printer and invested his savings and printed 300 copies. Wayne was sure he would have all those 300 books forever, but his students quickly bought many of them. Wayne then took his new book around to local music stores. One of the store owners suggested that what Wayne needed was an invoice book to keep track of sales, so he visited the closest stationary store to purchase one. He showed his new book to the salesman in the stationary store, and the man bought one right on the spot! It was then that Wayne realized he was on to something. In a matter of weeks, the first printing of Ignoramus books were gone. Wayne then revised it and went back to the printer, this time to print a whopping 1,000 copies. Wayne’s marketing efforts eventually reached Carl Fischer Inc., a venerable music publisher who took over the publishing and distribution of “the Ignoramus.” With their encouragement, Wayne soon wrote and published more books. First was Starting Bluegrass Banjo From Scratch, then The Complete & Painless Guide to the Guitar for Young Beginners, and finally The Backpocket Old-Time Songbook and The Backpocket Bluegrass Songbook. Wayne eventually realized that no publisher, not even a power-house like Carl Fischer Inc., would sell his books with the zeal and conviction that he could sell them. From that point on, he concentrated on producing and distributing books and recordings under the name Native Ground Books & Music. Although Wayne’s initial goal was to preserve and present Southern Appalachian music, he soon realized that there was a broader range of American folklore that demanded his attention. He was soon digging deep into themes such as the Civil War, cowboys, outlaws, railroads, rural America and gospel. He also produced additional instruction books for clawhammer banjo (Clawhammer Banjo for the Complete Ignoramus!) and bluegrass banjo (Bluegrass Banjo for the Complete Ignoramus!) and fiddle (Old-Time Fiddle for the Complete Ignoramus!). Wayne currently offers classes and workshops in a 1940s log cabin in Asheville, North Carolina on clawhammer banjo, bluegrass banjo, old-time fiddle, mandolin and guitar. For more info, visit Log Cabin Cooking & Music. On Sunday evenings you can hear Wayne via his radio show, “Country Roots” by clicking on “Listen Live” when you get to http://www.wcqs.org/. Now in it’s 25th year, Wayne’s radio program is broadcast live every Sunday from 7:00 – 9:00 PM, Eastern Standard Time. In 1995, Wayne realized the need for some historic cookbooks in the Native Ground catalog. Since he had a great cook right in is own home, Wayne encouraged his wife Barbara to write a book on pioneer cooking, but she promptly refused! After all, in addition to raising three small children, she had her own counseling practice. Not being one to take no for an answer, Wayne proceeded to goad Barbara into writing the book by insisting that HE would write the book. Barbara knew that Wayne was the world’s worst cook, so to save him further embarrassment, she went ahead and wrote Log Cabin Cooking. To their amazement, the book went on to become a best-seller for Native Ground. Since then, she has written nine other best-selling cookbooks, including Take Two & Butter ‘Em While They’re Hot!, Children at the Hearth, Secrets of the Great Old-Timey Cooks, Mama’s in the Kitchen, Old-Time Farmhouse Cooking, The Lost Art of Pie Making and The 1st American Cookie Lady, A Garden Supper Tonight and Aunt Barb’s Bread Book. 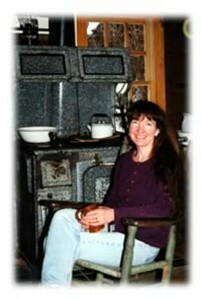 Barbara currently offers cooking classes and workshops in a 1940s log cabin in Asheville, North Carolina. Visit Log Cabin Cooking & Music. 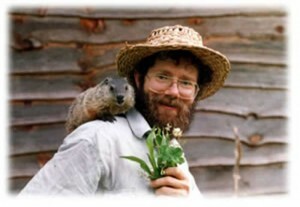 As Native Ground expanded to include other genres of Americana, Wayne called on his old friend, naturalist Doug Elliott, who produced three recording of storytelling and music that have won Notable Library Awards from the American Library Assoc. Doug also produced the well-received book, Crawdads, Doodlebugs & Creasy Greens. As Native Ground Books & Music continues to grow, we are committed to producing high-quality educational materials that reflect careful research combined with skilled musicianship and imaginative graphics. We take pride in our commitment both to authenticity and creativity. Join us as we celebrate historic American music & cooking. Let us hear from you!